Twenty-eight species of cetaceans have been recorded round the British Isles (Evans,1992), of which thirteen have occurred in the Mersey and east Liverpool Bay over the last 150 years. 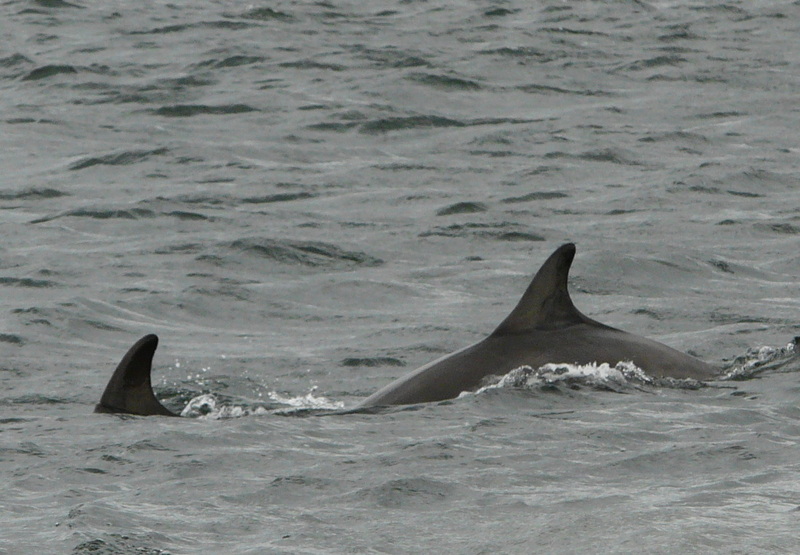 Harbour porpoise, bottlenose dolphin, bottle-nosed whales and common dolphins were the most sighted. Less frequent visitors include the Risso’s dolphin, minke whale, orca, long-finned pilot whale, sei and humpback whales. There has also been strandings of one striped dolphin and three white-beaked dolphins. The Mersey was a lucrative fishery with species such as eel, plaice, dab, sole, shellfish, herring, lobster and mullet. Many of these are prey species for smaller toothed cetaceans, and in the late 19th and early 20th centuries records show the harbour porpoise Phocoena phocoena as being “…common in Liverpool Bay and often ascends the estuaries” and “..occurring often in the Mersey beyond Eastham..” (Coward,1910). By the 1920s the legacy of pollution from the heavy industries of the Mersey Basin had destroyed the fishing industry. The fish had gone and so had the cetaceans. The improvements made in water quality since the 1980s have given a new lease of life to the river. The fish are back and breeding, and so it seems, are the cetaceans. About three hundred and twenty sightings and strandings of these mammals have been recorded since 1829, over half have been since 1980 (Cooper, unpublished). The number of live sightings has increased dramatically in recent years. Summer is the best time to see them from land, when harbour porpoise and bottlenose dolphin tend to move inshore and into estuary areas. A visit to New Brighton, a trip on the Mersey Ferry or a stroll along the dockside may be rewarded by the sight of a fin, or even several, cutting the water’s surface. References: Cooper, V (unpublished, 2002) Marine mammals of the Mersey Estuary and the east of Liverpool Bay. Coward, T.A. (1910) The Vertebrate Fauna of Cheshire and Liverpool Bay. Witherby & Co.
Evans, P.G.H (1992) Status review of cetaceans in British and Irish waters. Under contract to the Department of the Environment. These creatures are shy and retiring and a dark, arched back with a triangular fin is generally all that will be seen. Listen as they break the surface of the water and blow. They have rightly earned their nickname, ‘puffing pig’! Note the falcate fin, with the concave trailing edge. This animal is lighter than the porpoise and will often display more energetically, breaching clear of the water with a spectacular leap.